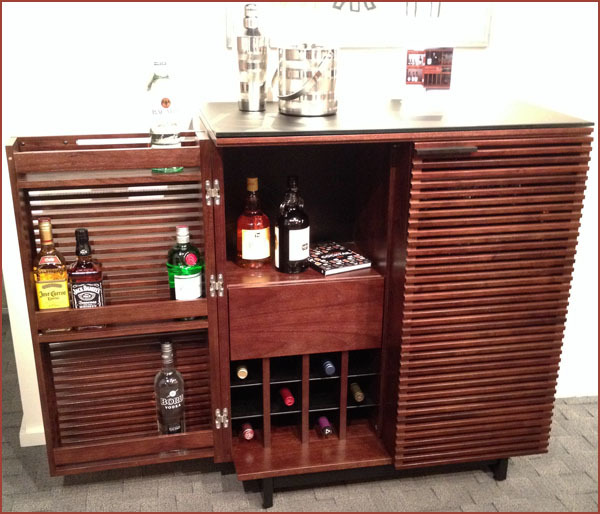 We just saw this bar at the High Point, North Carolina furniture market this past week. 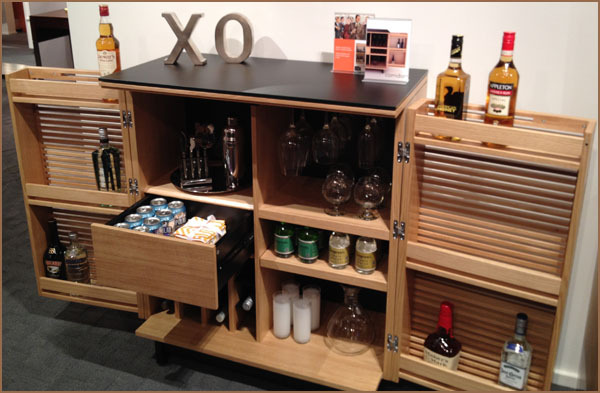 It’s pretty cool, with an incredible degree of design and manufacturing excellence. No surprise, really, considering it’s made by BDI, who makes fabulous home theater furniture. The wood is either light oak or walnut, the top is etched glass. It’s not even in production yet, but we have our order in. It’s going to sell for, probably, $2,199.